4 bedroom, 3 bathroom villa in the Emerald Island Resort community. Owned by Ray Capewell. Ref: 1804. Emerald Island Resort, Kissimmee, Florida. 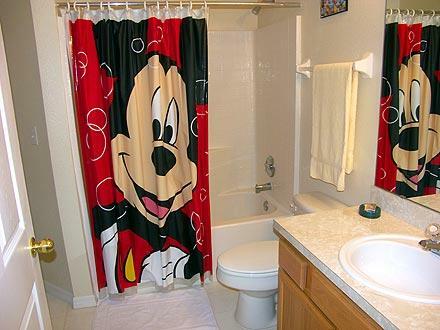 This prestigious, five star, 24 hour manned, gated community is the closest to Disney World. Arrive in a tree lined resort complete with fountains, lakes and nature reserve. 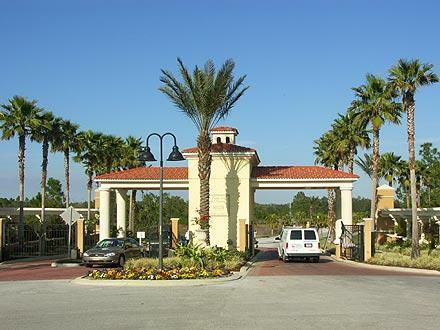 Just 30 minutes from Orlando International Airport, five minutes from the nearby Formosa Gardens Centre with a huge Supermarket, ATM cash dispensers, Pharmacy, Shops, Banks, Tourist Information, and a large choice of Diners. For the Golfers there are many wonderful golf courses close by including Disney Resort Golf, Orange Lake Country Club, and Highlands Reserve Municipal Golf Course which are all just a few miles away! 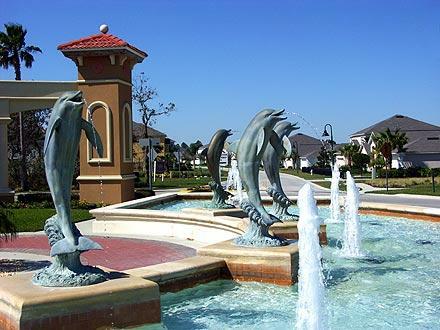 All major Florida cities from Naples to Tampa, Miami to Daytona and beyond are easily accessible. This Single-Story Home features four bedrooms, three bathrooms, games room, heated pool and spa with child Safety Screen. The kitchen is superbly equipped to enable you to cook a four course meal or a light lunch, whatever your mood, or energy levels!! Our holiday home has been situated, designed and furnished to a high standard, it has provided us with the perfect family vacation and we would like to share our beautiful home with you. 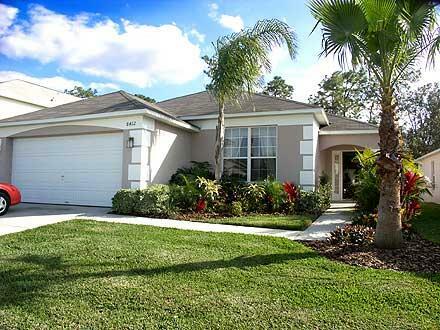 This awesome Florida home is situated in Orlando's beautiful and secure community, Emerald Island Resort, which is only three miles from Disney World. Have a dip in the Child safety screened, south-facing, heated pool, or refresh all those tired muscles in your private heated Spa, then just relax and read your favourite book on the extended deck around the pool, with stunning views over a wooded conservation area. 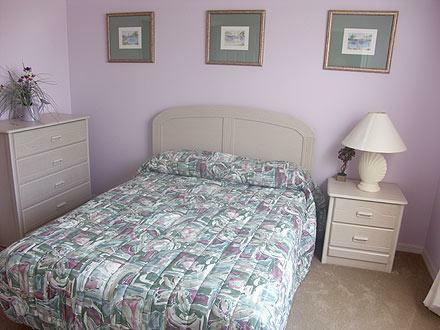 You can feel comfortable and relaxed in the immaculate, clean and spacious environment, with cathedral ceilings and air conditioning to keep you cool while you rest and recuperate. 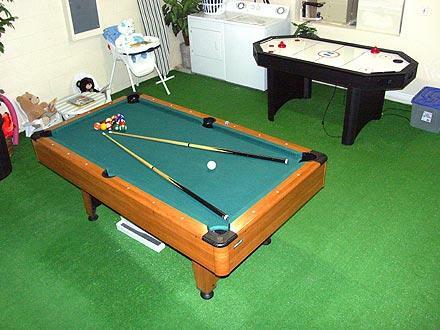 Alternatively, if you want fun, enjoy our separate games room with a pool table, air hockey table, and many games. These should keep the children (and young-at-heart adults!) entertained whilst at home!! 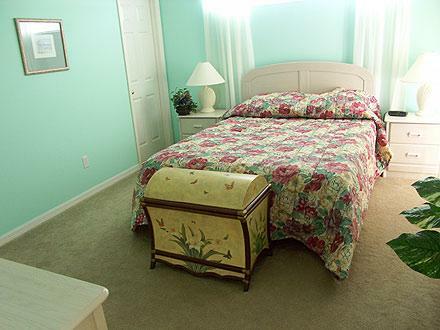 !We think this is just the place to stay, you can visit all that Florida has to offer, Disney, Sea World, Epcot Center, and further afield are the beaches of both the East and West coast or just shop till you drop. 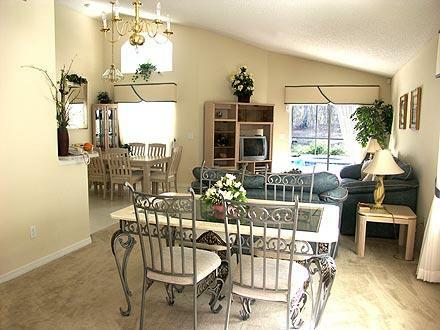 If you need to get away from it all and re-charge your batteries, lie back and unwind with a glass of wine in a quiet peaceful relaxing atmosphere, and feel content and secure in the knowledge that you will have chosen one of the best locations in the Orlando region of central Florida. Free On-Site Internet Cafe, Volleyball, Large Pool, Tiki Hut for snacks and drinks, Child friendly Play Area, Wooded Conservation Area with Nature Trail set in 11 Acres, Hiking, Biking, Golf, Tennis, Fitness Center, Gym, Miniature golf, Amusement Parks, Wildlife Viewing, Horseback Riding, Shopping, Restaurants, Cinemas, Sightseeing, Swimming, Boating, Sailing, Jet Skiing. 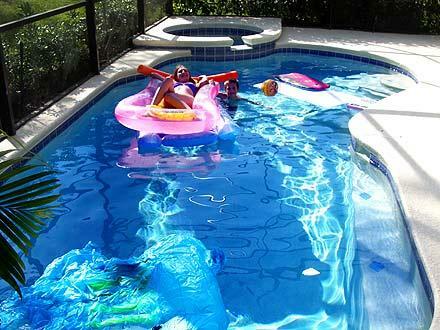 Low season prices from $1030.00 / £625.00 per week. 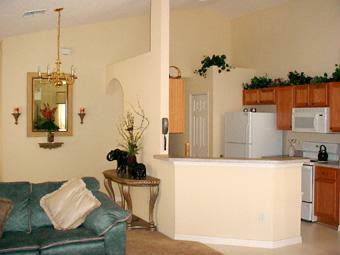 Peak season prices from $1250.00 / £725.00 per week. Notes: 1) Until confirmed, rates are subject to change without notice.2) Shortest booking period we do is 3 days (nights).3) Enquire with about our villa for special offers that we have from time to time. Your enquiry will be sent to villa ref 1804 only. This page has been viewed 19092 times since 26 Nov 2004.